Gabrielle, daughter of a brilliant and charismatic local businessman, thinks she’s losing her mind. Recovering from a nervous breakdown triggered by her father’s death and the loss of her unborn child, her sanity is pushed to the brink when she starts suffering memory lapses. Knowing that the other major shareholder of her father’s business is looking for any excuse to squeeze her out, Gabrielle can’t trust anyone. When a man’s body is found in dilapidated cottage, DCI Kelso Strang is drafted in from Edinburgh to take charge of the investigation. Still grieving the loss of his wife, battle-scarred Strang finds himself burdened with an over-eager detective constable and a lazy, obtuse detective sergeant. With inadequate resources at his fingertips, and his boss breathing down his neck to wrap up the case quickly and without embarrassment to the force, Strang must pick his way through the minefield of the local relationships and resentments of the sleepy village community. But will he be able to put this case to rest before more lives are destroyed? Beatrice Lacey is passionate about Human Face, the charity for Third World children she helped to found, and its co-founder Adam Carnegie. She has learned to turn a blind eye to some strange goings on, however; parties for donors who don’t seem the philanthropic type and a merry-go-round of `housekeepers’. It’s best not to think about that. But when the latest housekeeper, Eva, suddenly disappears, the police and DI Kelso Strang are called in. Keen to move on from recent personal horrors, Strang revels in the responsibility the investigation affords, as a former sniper, he has no problems with making solitary decisions. But when he and the team make some fatal errors, Strang has his work cut out to avoid the case ending in disaster and death. Pleasure is the h ighest good: the group who called themselves the Cyrenaics embraced the hedonistic principle until the death of one of their members from an overdose. Sobered, the group went their separate ways. One headed for Canada, another disappeared and a third was believed to have committed suicide – at least until his body turned up two years later in the wreck of a car swept up on the Solway mudflats. The murky relationships among the Cyrenaics, revived when they start returning for a party celebrating Scotland’s Year of Homecoming, bring more suffering and death. 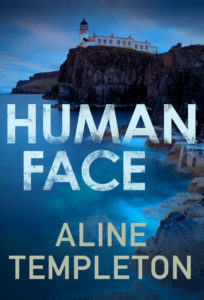 DI Marjory Fleming, called in to help the neighbouring division with the struggling murder enquiry, faces obstruction and hostility that begins to hinder her own investigation of another murder on her own patch. With tensions both in her team and at home, Fleming starts to feel the odds are stacked against her. Can she piece the puzzle together before someone else dies? And in the greedy pursuit of pleasure, just how far might a Cyrenaic go? Marnie Bruce has hyperthymesia: she can remember everything she has ever seen. Everything except one fateful night when she was eleven; she woke up in an isolated cottage with a head injury and her mother gone.. Twenty years later Marnie heads back to Scotland seeking answers to what happened but in the small town in Galloway, her mother’s disappearance still burns in the air and Marnie’s return looks set to tear open old wounds for many of the locals. For DI Marjory Fleming the disappearance of Karen Bruce is a case she would rather not reopen but the ripple effect of Marnie’s return makes it clear this is one mystery that must be solved. As Fleming unravels the secrets of the past, she realises that Marnie’s life is inextricably, terribly linked to a monstrous crime decades ago. Can Fleming fit the puzzle together before it is too late? And will the truth be one Marnie wants to remember? In a sea-cave on Lovatt Island, just off the west coast of Scotland, a skeleton is found shackled to the rocks. Although the apparent victim of a crime of unparalleled brutality, the skeleton seems to belong firmly in the past. Detective Inspector Marjory Fleming, called in to investigate, anticipates a straightforward case unhampered by the pressures of time. But when a modern watch is discovered on the skeleton’s wrist, Fleming realises the crime may be far closer to home than she initially assumed. Meanwhile, in the nearby village of Innellan, mysterious events begin to occur. Matt Lovatt, eponymous owner of the island, is at the centre of a series of escalating crimes – could someone be targeting him? The villagers, members of a small and introverted community, are little help – many seem damaged by their own enigmatic pasts, and all are reluctant to speak out. Fleming, sensing a pattern she cannot clearly make out, becomes increasingly desperate to prevent more violence. Are the skeleton and the current spate of crimes connected? If so, what evil act could have motivated such a deadly, merciless design? 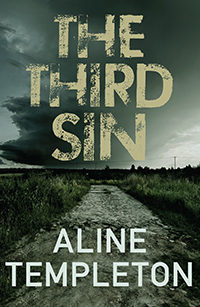 As the devastating foot-and-mouth virus kills cattle and destroys lives, DI Marjory Fleming finds herself brought into conflict with the farming community which has been her world. Pyres are built, infected animals are burned and buried in pits. But the stench of death develops a horrifying edge when human remains are dug up near the Galloway market town of Kirkluce. A woman called Laura Harvey resolves to unearth the dark secrets of her past. 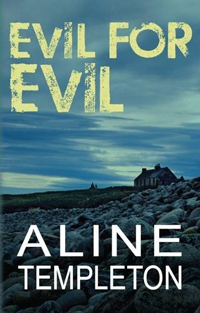 Determined to discover the truth behind her older sister’s disappearance fifteen years before, her journey brings her to Galloway, to a world of fear, suspicion and menace. A dead body, a missing girl, and a mysterious family’s dangerous obsession with bull running provide a sinister background to DI Fleming’s first case. 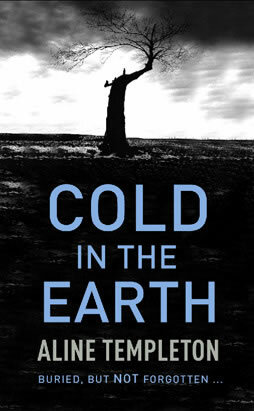 Cold in the Earth was fourth in the Independent’s ten best mysteries of the summer (2005) and the paperback was Ottakar’s Crime Novel of the Month (January 2006) It was a Scottish bestseller. [Marjory Fleming] Is a great creation. Andrew Taylor, The American Boy. Aline Templeton has demonstrated that, just when we thought Scotland was saturated with detectives, a strong woman can elbow her way in and find a unique niche. A good, well-crafted British mystery. This is a book for a long train journey or a wet weekend with no other demands, the better to immerse oneself in the strongly-delineated characters, complex plotting and rich allegory: a really satisfactory read. Please write some more, Mrs Templeton! The wreck of the Knockhaven lifeboat with the loss of all three of its crew is a hard blow for the small Scottish town. But it’s harder still when DS Tam MacNee discovers that it isn’t simply a tragic accident. Was it the act of vandals, bored in a fishing port stricken with unemployment? Could it be linked to the drugs trade which has taken root in the locality? Or is there someone who, in their determination to kill one person, is callous enough to take two innocent lives? And if so, who is the intended victim? As DI Marjory Fleming and her team investigate multiple murders, with a whole community hungry for justice, the pressure – professional and personal – is on. 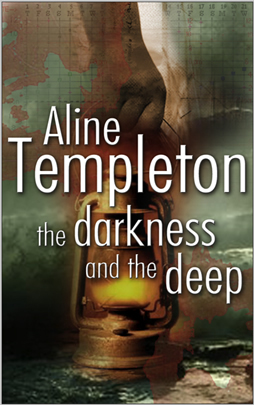 The Darkness and the Deep was a Guardian bestseller. Loved it. She has become the crime czar of the Scottish small town! An interesting, atmospheric and, I predict, televisual series. The Darkness and the Deep must surely be her best book to date. Her characters are so beautifully drawn that turning the final page is like bidding old friends farewell. Templeton moves easily between laughter and tragedy, effortlessly proving that accounts of man’s inhumanity to man are most effective when dished up with lashings of humanity. Absorbing hat-trick of intrigue, originality and skill. Templeton writes gripping but intelligent thrillers… Amid the plethora of crime fiction, there is nothing quite like her, and she could well prove to be the most enduring of the new breed of Scottish thriller writers. On an eerily quiet May morning in a remote corner of Scotland, a woman is found bludgeoned to death, the silence of the scene broken only by the ringing of her mobile phone. 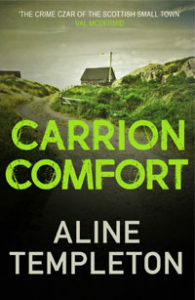 DI Fleming thrives on the adrenalin that comes with heading a major crime investigation. With the discovery of not one, but two murders on her patch, she’s about to feel the pressure as never before. The community of Drumbreck – a tranquil weekend playground for rich Glaswegians – is small and close-knit, but the veneer of contented prosperity conceals nasty secrets and daily betrayals. 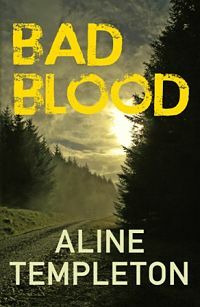 In an atmosphere of distrust, DI Fleming must watch her own back as she searches for a link between these two most terrible of crimes. Uncovering layer upon layer of intrigue and deceit, Fleming can only ask herself whether, in this society of liars, you can even trust the dead. This is seriously good crime writing. 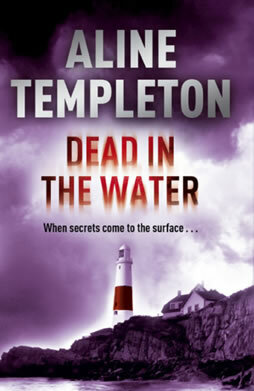 A welcome addition to the canon of Scottish crime fiction .. packed with red herrings and believable characters. 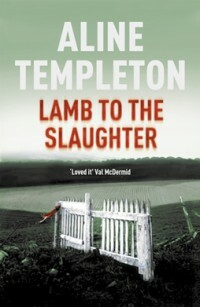 Underscores Templeton’s challenge to Ian Rankin in Scottish thriller writing. I loved every minute of Lying Dead and to top it off the answer to the whodunit is staggeringly well-concealed and yet obvious in retrospect, and one I certainly didn’t guess. A young girl’s body was found washed up on the dramatic rocks beneath the Mull of Galloway lighthouse, but afrter twenty years her death is still a mystery. DI Marjory Fleming is called in to reopen the case her late father, a policeman, was unable to solve. At the same time, local resentment at the influx of Polish workmen and the arrival of a TV company filming an episode of a detective series bring about the discovery of a web of strange connections and old secrets, and more killings. As Fleming digs deeper it becomes clear that her father had tried to conceal some of the shameful details around the young girls death. And Fleming struggles to cope with what the truth reveals, not only about her father but about herself. 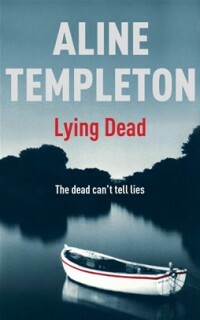 (With) a scalpel-sharp plot, made more supenseful by the complexity of the personal connections, Templeton’s latest installment takes the indomitable Fleming from strength to strength. The book was paced well, the characters were believable and the ending inevitable, given what went before. I really enjoyed this book. All the characters are well-drawn and the tension is maintained throughout… With many surprises along the way, this is an excellent mystery and highly recommended.